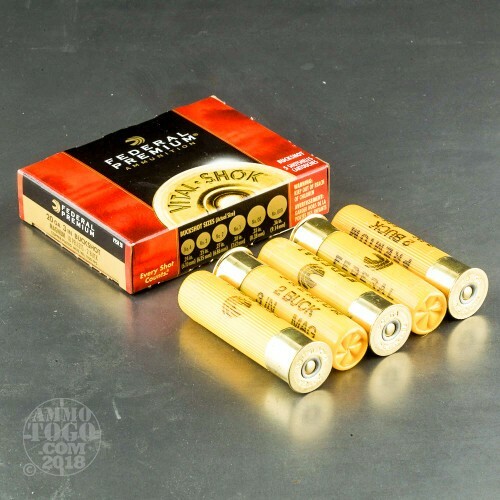 This is 20 Gauge Federal Premium Vital-Shok 3" 18 Pellet Copper-Plated #2 Buckshot Ammo. 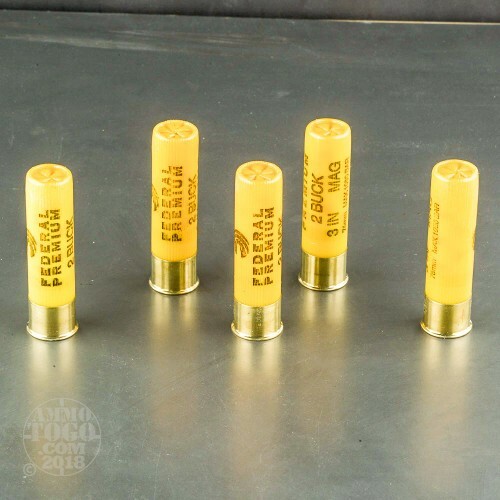 This ammo features Federal's Triple Plus wad technology and Patented buffered spiral stacking process to ensure dense patterns and a powerful blow. 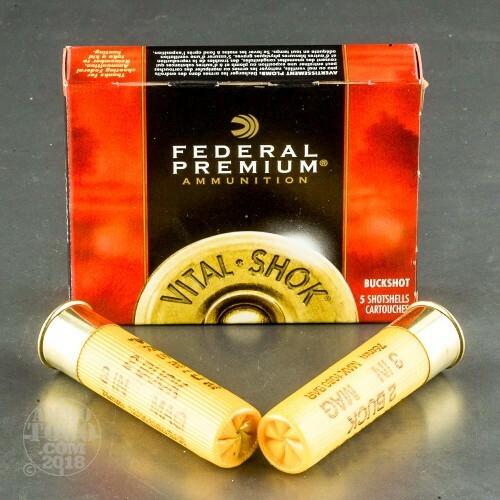 This Premium Vital-Shok buckshot is copper-plated for uniform pellets and deep penetration. Premium Vital-Shok buckshot is proven to give you better shot alignment and hard-hitting performance in the field. 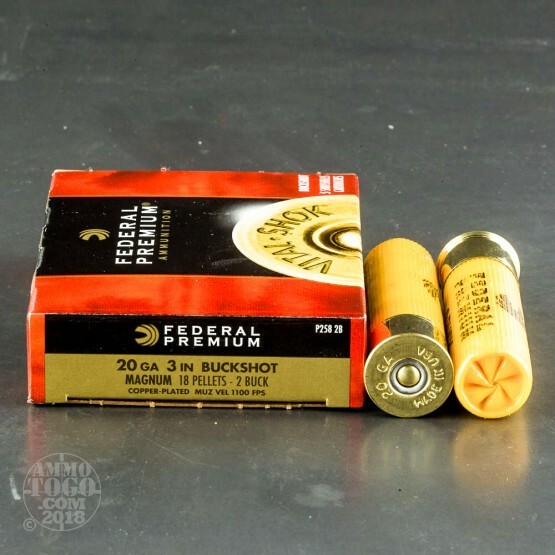 Combined with Federal's reputation for quality and awesome stopping power, you'll get the results you've been looking for in a buckshot round. It comes packed in 5rd. boxes. Muzzle Velocity: 1100 fps.